Sayed Wares Hashimi has born in Logar province in 1998. Due to financial problems he could only study until 12th grade. 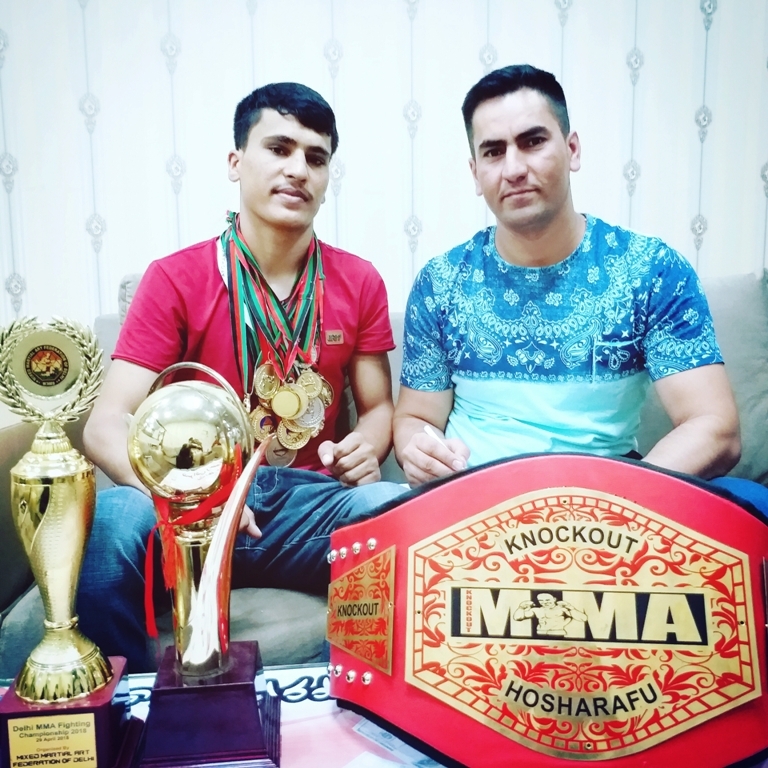 He is now a free fight champion in weight 66 kg and a member of National Olympic Committee as well as athletes association of interior ministry. Hashimi said ten years ago, I had started Kung Fu under supervision of Master Wahab in Logar province. He added I have exercised in different sport fields such as boxing, wrestling, Judo and Taekwondo. “As I had a strong body, I have started free fight sport under supervision of Master Hejrat Ayoubi five years ago,” he further said. He added I have done 11 amateur and four professional competitions so far. Eight gold medals, 3 championship cups and a belt are among my sport achievements from competitions held in India, he went on to say. Totally, I have so far received 18 gold medals and I am also a trainer in a private club, he continued. He said to raise my country’s name, I exercised day and night. He added I have attended foreign competitions with my own money two times, asking the relevant organs and national traders to pay heed in this respect. At the end, he said sport played vital role in our daily life, therefore, the youth should do sport and work hard to reach high peak of success.